"Dwyane" redirects here. For the Trinidad and Tobago footballer, see Dwyane Demmin. Dwyane Wade was born on the South Side of Chicago, Illinois, to JoLinda and Dwyane Wade Sr, whose name's unusual spelling was decided by his own mother. In 1977, JoLinda, at the age of 18, already had two children. Wade has described his upbringing in Chicago as being very difficult. Wade stated that "[his] mom was on drugs and [his] family was in the gang environment, so it was a rough childhood." At a very young age, Wade already witnessed police raids and found dead bodies several times in a nearby garbage can. When he was only 4 months old, his parents separated – and would later divorce. JoLinda was given custody of the two children, and she moved to her mother's house with them. The family struggled financially, and it was around that time when JoLinda started dealing drugs. His mom was addicted to several substances including cigarettes, alcohol, heroin, and cocaine. 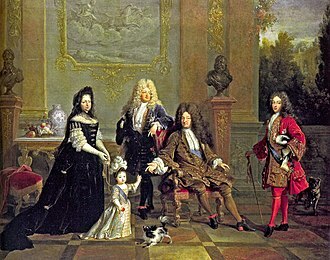 JoLinda would get high with friends at her home, even in the presence of her children. In an interview with ESPN, Wade said "I've seen the needles laying around the house. I've seen my mother shoot up before. I've seen a lot of things my mother didn't even know I'd seen as a kid." At the age of 6, he recalls police – with guns drawn – raiding his home as they searched for his mother. When Wade turned 8 years old, his older sister, Tragil, tricked him – by telling him they were going to the movies – into living with his father, a former Army sergeant, and stepmother in a nearby neighborhood. Wade would still occasionally visit his mom. A year later, his father moved the family to Robbins, Illinois. After moving to Robbins, Wade did not see his mother for two years. During this time, JoLinda was able to access a free supply of drugs by volunteering to be a tester – i.e., someone who tests street drugs for impurities before the dealers try to sell them. JoLinda was hospitalized and nearly died after she mistakenly injected herself with LSD. In 1994, JoLinda was arrested for possession of crack cocaine with intent to sell and locked up in Cook County Jail. Wade, at the age of 10, reunited with his mom by talking with her at Cook County Jail through a glass panel over a telephone. 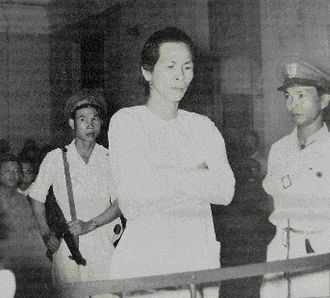 JoLinda served 23 months in prison for her crimes, but while serving her second sentence in 1997, she failed to report to prison while on work release. Wade turned to sports, especially basketball and football, to avoid the temptations of participating in drug and gang-related activities. Wade's mom and dad would often take him to the park to play basketball. He cites one of his older sisters, Tragil, as the individual most responsible for his childhood upbringing and for steering him in the proper direction. As a child growing up in the Chicago area, Wade idolized Chicago Bulls star Michael Jordan, and has said he patterns his game after him. Wade attended Harold L. Richards High School in Oak Lawn. Wade quickly found success as a wide receiver on the football team, but he needed to work extremely hard to earn playing time on the varsity basketball team during his junior year. While he did not acquire much playing time during his second year, his stepbrother, Demetris McDaniel, was the star of the team. Wade grew four inches in the summer before his junior year and saw an increase in playing time, averaging 20.7 points and 7.6 rebounds per game. The following year, Wade averaged 27.0 points and 11.0 rebounds per game while leading his team to a 24–5 record. It advanced to the title game of the Class AA Eisenhower Sectional. During this season he set school records for points (676) and steals (106) in a season. Wade has stated that his high school coach, Jack Fitzgerald, was one of the most positive influences in his life during this time. Wade was recruited by only three college basketball teams (Marquette University, Illinois State, and DePaul University) due to academic problems. During most of Wade's time at Marquette, his mother was either eluding the law or serving time in jail for selling crack cocaine. On October 14, 2001, JoLinda declared that she would change her life and get clean while attending a service at a Chicago church. Wade, then a sophomore at Marquette, went home for Christmas to be with his mom, who he believed was clean and sober for the first time in his life. However, JoLinda admitted to him that she was actually going back to prison. Wade told ESPN, "I was hurt because I felt like I was just getting my mom back, and now she had to leave again." On January 2, 2002, his mother went back to prison to serve her 14-month sentence. She says she has been clean since 2003. Wade chose to play college basketball for Tom Crean at Marquette University in Milwaukee, Wisconsin. During Wade's freshman year at Marquette, he was ineligible to play with the men's team as he had fallen short of academic standards set by the NCAA's Proposition 48. Wade sought tutoring to improve his writing skills in order to regain eligibility. Wade earned eligibility to play for the 2001–2002 season, and he led the Golden Eagles in scoring with 17.8 ppg, led the conference in steals at 2.47 per game, and averaged 6.6 rebounds and 3.4 assists per game. 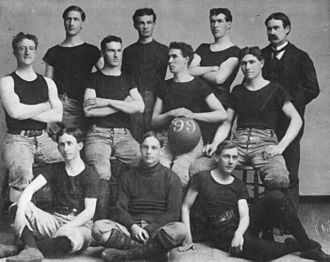 Marquette finished with a 26–7 record, the school's best record since the 1993–94 season. In 2002–03, Wade led Marquette in scoring again with 21.5 ppg, and Marquette won the school's first and only Conference USA championship with a 27–6 record. That season Wade led the Golden Eagles to the Final Four, the school's first appearance in the Final Four since winning the 1977 national championship. After the season, he was named to the All-America First Team by the Associated Press; Wade is the first Marquette basketball player since 1978 to do so. Wade's performance during the Midwest Regional Final of the 2003 NCAA Tournament was highly publicized by the national press. Against heavily favored, top-ranked and top-seeded Kentucky Wildcats, Wade recorded a triple-double with 29 points, 11 rebounds, and 11 assists. His triple-double was the fourth in NCAA Tournament history. Wade's exceptional play helped lead Marquette over the Wildcats 83–69 and into the Final Four; Wade was named MVP of the Midwest Regional. Marquette finished the season ranked No.6 in the AP poll, the school's highest ranking since the 1976–77 season. Wade's strong tournament play resulted in increased visibility in the national media and, consequently, a high draft projection. As a result, he elected to forgo his senior year at Marquette and enter the 2003 NBA draft. On February 3, 2007, almost four years after Wade played in his final collegiate game, Marquette retired his jersey at halftime of a game against Providence. Although Marquette requires student-athletes to graduate prior to receiving jersey retirement honors, the University made a special exception for Wade based on his accomplishments since leaving Marquette. On March 5, 2003, JoLinda Wade was released from prison. Three days later she saw Dwyane play basketball for the first time in five years. She watched Marquette beat Cincinnati, 70–61, at the Bradley Center to win the Conference USA regular season championship. Dwyane had 26 points, 10 rebounds, and five assists. Wade dunking the ball during the 2004 Rookie Challenge game for the Rookies team. Selected 5th overall in the 2003 NBA draft by the Miami Heat, Wade quickly emerged as a productive player on a youthful Miami Heat team and averaged 16.2 points on 46.5% shooting with averages of 4.0 rebounds and 4.5 assists per game. Wade is one of only four Marquette University players to be drafted in the first round; his is the highest draft selection in school history. After a 5–15 start, the Heat would gradually improve and finish 42–40 to qualify for the NBA playoffs. He further distinguished himself with outstanding performances in the playoffs, particularly against the Indiana Pacers in the Eastern Conference Semi-finals. In the end, however, Wade's successful rookie season was somewhat overshadowed by the success of fellow rookies Carmelo Anthony and LeBron James. Wade did earn unanimous selection to the 2004 NBA All-Rookie Team, and also finished third in rookie of the year voting (behind James and Anthony). He was ranked in the top five among rookies in several major statistical categories, including second in field goal percentage, second in steals, third in scoring, fourth in assists, and fourth in minutes played. In the playoffs Wade hit a game-winning shot in Game 1 of the Heat's first round series against the New Orleans Hornets. The Heat won the series 4–3 and advanced to the second round to face the top-seeded and best record team in the NBA, the Indiana Pacers, in a very entertaining series that almost pushed the 61-win Pacers to the edge, though Miami would eventually lose the series in six games. He became the fourth rookie since the shot clock era began to lead his team in scoring and assist average in the postseason. Before the 2004–05 season, Shaquille O'Neal was traded from the Los Angeles Lakers to the Heat. The following season, Miami improved by 17 games, from a 42–40 record in the 2003–04 season to an Eastern Conference-best 59–23 record in the 2004–05 season. The league's coaches selected Wade to be a reserve in the 2005 All-Star Game. He scored 14 points in 24 minutes of play. In the first round of the 2005 NBA Playoffs, Wade averaged 26.3 points, 8.8 assists, and 6.0 rebounds while maintaining a 50% field-goal percentage as the Heat swept the New Jersey Nets. Wade continued his high level of play in the second round by averaging 31 points, 7 rebounds, and 8 assists per game as the Heat swept the Washington Wizards. The Heat's playoff run was stopped by the Detroit Pistons, the previous season's champions, in 7 games in the Eastern Conference Finals. Wade scored 42 and 36 points in Games 2 and 3 respectively despite playing with sinusitis, the flu, and a knee strain. He also suffered a strained rib muscle in Game 5 of the Conference Finals that prevented him from playing in the series' sixth game and limited him in the seventh. The Heat lost the series in the seventh game despite leading three games to two after the fifth game and holding a lead with three minutes remaining in Game 7. By the 2005–06 season Wade had developed into one of the most prominent players in the NBA and was elected to his second All-Star Game, this time a starter. 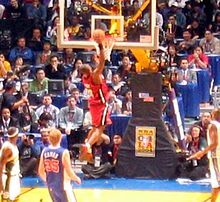 In the 2006 All-Star Game, Wade made the game-winning put-back off of the Philadelphia 76ers' Allen Iverson's missed shot, to lead the East to a 122–120 victory over the West. He scored 20 points on 9/11 field goals in 30 minutes of play. He finished the 2005–06 regular season averaging 27.2 points, 6.7 assists, 5.7 rebounds, and 1.95 steals per game. Against the Chicago Bulls in the first round of the 2006 NBA Playoffs, Wade shook off a few injuries that scared Heat fans, including a severely bruised hip in Game 5. Returning late in the half, Wade resurrected his team by scoring 15 of his 28 points while suffering from intense pain, leading the Heat to the much-needed 3–2 series lead. After this, Wade successfully led his team to the 2006 NBA Finals, despite suffering from flu-like symptoms in game 6 of the Eastern Conference Finals against the Detroit Pistons. He put up a double-double with 14 points and 10 assists in that game, including an 8-point flurry to close out the third quarter that put the game out of reach. In his first trip to the NBA Finals, in which Miami faced off against the Dallas Mavericks, Wade had some especially memorable moments. His performance in games three, four, and five, in which he scored 42, 36, and 43 points, respectively, helped bring the Heat back from a 0–2 deficit to lead the series 3–2. In Game 3 Wade tied his career playoff high with 42 points and grabbed a career-high 13 rebounds. Fifteen of his 42 points came in the fourth quarter, in which the Heat erased a 13-point deficit over the final 6:29 with a 22–7 run which included a go-ahead jumper by NBA veteran Gary Payton that sealed the win. The Heat went on to win Game 6 behind Wade's 36 points, taking the series 4–2, and Wade was presented with the Finals MVP trophy. He became the fifth youngest player in NBA history at the time to capture NBA Finals MVP honors and recorded the third highest scoring average by a player in his first NBA Finals with 34.7 points per game. His 33.8 PER in the NBA finals was ranked by ESPN's John Hollinger as the greatest Finals performance since the NBA-ABA merger. In the 2006–07 season, Wade missed a total of 31 games due to injury. He was elected to his third straight All-Star Game and received All-NBA honors. He became the first guard to earn All-NBA honors after missing at least 31 games in a season since Pete Maravich of the Utah Jazz earned Second Team honors during the 1977–78 season. Despite Wade's play, the Heat struggled early in the season with injuries and were 20–25 on February 1, 2007. But with Shaquille O'Neal healthy and Pat Riley returning to the bench after undergoing hip and knee surgeries respectively, the Heat seemed poised to surge into the second half of the season. However, during a game against the Houston Rockets on February 21, 2007, while attempting to steal the ball from Shane Battier, Wade dislocated his left shoulder and was assisted off the court in a wheelchair. After the injury, he was left with the decision to either rehabilitate the shoulder or undergo season-ending surgery. Wade later announced that he would put off the surgery and rehabilitate his shoulder with the intention of rejoining the team in time for the playoffs. After missing 23 games to recover from the injury, Wade returned to the active roster in a game against the Charlotte Bobcats. Sporting a black sleeve to help protect his dislocated left shoulder, Wade played 27 minutes and recorded 12 points and 8 assists, in a 111–103 overtime loss. For the season, Wade averaged 27.4 points, 7.5 assists, 4.7 rebounds, and 2.1 steals per game shooting 50% from the field, and finished the season as the NBA's leader in PER (Player efficiency rating). In the playoffs, Wade averaged 23.5 points, 6.3 assists, and 4.8 rebounds per game, as the Heat were swept in the first round by the Chicago Bulls. Following the playoffs, Wade underwent a pair of successful surgeries to repair his dislocated left shoulder and left knee. The knee ailment, commonly called "jumper's knee", prevented Wade from joining USA Basketball in the Olympic Qualifying Tournament over the summer. 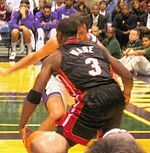 After missing the Tournament of Americas Olympic Qualifiers over the summer, Miami's eight pre-season games and first seven regular season games to recover from off-season left knee and left shoulder surgeries, Wade made his first appearance of the 2007–08 season on November 14, 2007. Battling pain in his left knee throughout the season, Wade was elected to his fourth consecutive All-Star Game appearance. However, with the Heat holding the worst record in the NBA and Wade still experiencing problems in his left knee, head coach Riley announced Wade would miss the final 21 games of the season to undergo OssaTron treatment on his left knee. Wade averaged 24.6 points, 6.9 assists, 4.2 rebounds, and 1.7 steals per game for the season. 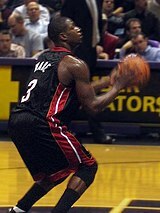 Wade dribbling the ball in 2009. After undergoing months of rehabilitation on his left knee and helping the U.S. Olympic team win a gold medal at the 2008 Olympics, in which he led the team in scoring, Wade returned to the starting lineup at the start of the 2008–09 season. Early in the season, Wade became the second player in NBA history to tally at least 40 points, 10 assists and five blocked shots in a game since Alvan Adams did so in the 1976–77 season. With a healthy Wade leading the league in scoring and the Heat making a push for a playoff position, Wade was elected to his fifth consecutive All-Star game appearance. Following the All-Star game, Wade recorded 50 points on 56.6% shooting and added 5 rebounds and 5 assists in a blow-out loss against the Orlando Magic. Wade became the fourth player in NBA history to score at least 50 points while his team lost by at least 20 in a game. The following game, Wade recorded a career-high 16 assists and added 31 points and 7 rebounds in a 103–91 win against the Detroit Pistons. Wade became the second player to record 15 or more assists after scoring at least 50 points since Wilt Chamberlain did so in 1968. Two games later, Wade tied a franchise record with 24 points in the fourth quarter, as he led the Heat back from a 15-point deficit in the final nine minutes of the quarter to secure a 120–115 win over the New York Knicks. For the game, Wade recorded 46 points on 55% field goal shooting, 10 assists, 8 rebounds, 4 steals and 3 blocks. Wade followed the performance with a second consecutive 40-point game against the Cleveland Cavaliers. Playing against his Eastern Conference rival and good friend, LeBron James, Wade registered 41 points on 53% shooting, 9 assists, 7 steals, 7 rebounds and one block as the Heat lost 107–100. The following game, in former teammate Shaquille O'Neal's return to Miami since being traded, Wade tied a career-high with 16 assists and added 35 points on 62% shooting, 6 rebounds, a steal and a block, as the Heat defeated the Phoenix Suns 135–129. Wade became the only player in Heat history to have multiple games with at least 30 points and 15 assists. Less than a week later, Wade tied his franchise record with his 78th consecutive game of scoring in double figures in a double overtime thriller against the Chicago Bulls, in which he scored the game-winning three-point basket to secure a 130–127 win. Wade finished with 48 points on 71.4% shooting, 12 assists, 6 rebounds, 4 steals and 3 blocks in 50 minutes. 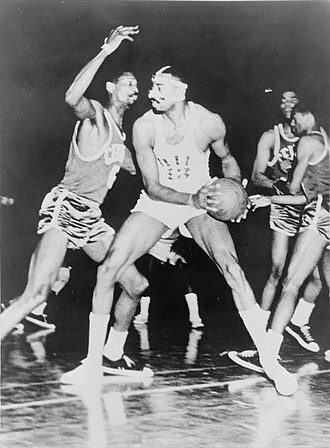 According to the Elias Sports Bureau, Wade joined Wilt Chamberlain as the only other player in NBA history to score that many points and have that many assists in a game, while having as high of a field goal percentage. 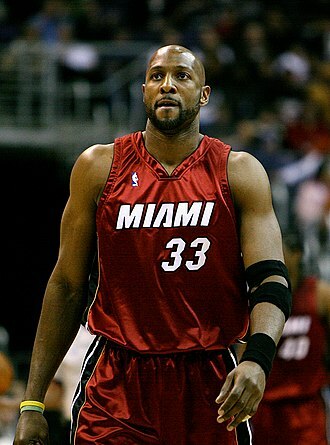 Two games later, Wade surpassed Alonzo Mourning and became the Heat's all-time leading scorer in a triple overtime classic against the Utah Jazz. Wade finished with 50 points, 10 rebounds, 9 assists, 4 steals, and 2 blocks in a 140–129 win. During the season, Wade became the first player in NBA history to accumulate at least 2,000 points, 500 assists, 100 steals, and 100 blocks in a season and is the first player of 6 feet 5 inches (1.96 m) or shorter to register at least 100 blocks in a season. Wade also became just the fifth player in NBA history to reach 2,000 points, 500 assists, and 150 steals in a season. After a 97–92 win against the Charlotte Bobcats, Wade helped the Heat clinch a playoff berth and become only the second team in NBA History to reach the postseason after winning 15 or fewer games the year before. In a 122–105 win against the New York Knicks, Wade recorded a career-high 55 points on 63% field goal shooting and added 9 rebounds and 4 assists. Wade recorded 50 points through three quarters and was pulled out of the game while he was one point shy of eclipsing the franchise record of 56 points set by Glen Rice. For the season, Wade averaged a league-high 30.2 points per game, earning his first NBA Scoring Title, and added 7.5 assists, 5.0 rebounds, 2.2 steals, and 1.3 blocks per game. Wade finished the season with higher point, assist, steal and block averages than LeBron James and Kobe Bryant, who both finished ahead of Wade in the MVP race. On November 1, in just his third game of the 2009–10 season Wade recorded his 10,000th career point in a 95–87 win against the Chicago Bulls. 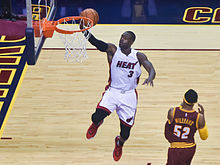 On November 12 against the Cleveland Cavaliers, Wade made a spectacular dunk over Anderson Varejão, considered by many to be one of the greatest of the season until then. LeBron James himself described the dunk as "great, probably top 10 all-time". Two days later against the New Jersey Nets, with the Heat down by two in the final seconds, Wade hit a clutch three-point shot, giving the Heat the win by one point, 81–80. On January 6, Wade scored a season-high 44 points in an overtime loss against the Boston Celtics, the most points scored by a player in a losing effort in the season until that point. On January 21, Wade was selected to play for the East in the 2010 NBA All-Star Game, which was his sixth overall All-Star appearance. Wade was named the game's MVP after recording 28 points, 11 assists, 5 steals and 6 rebounds. In just his second game back from the All-Star Game on February 17, Wade strained his calf in the first quarter. He left the game with 8 points in 8 minutes of play, ending his personal and also Heat's franchise record streak of 148 consecutive games with at least 10 points. On April 2, Wade was named Eastern Conference Player of the Month and Player of the Week twice for his play in the month of March, leading the Heat to a 12–3, the team's best record since March 2006. It was his first Player of the Month award of the season and 5th of his career. He averaged 26.9 and 7.5 assists per game, which both ranked third in the Eastern Conference, and 2.3 steals per game, which ranked first. Wade recorded six 30 points games and had six double-doubles in the month, including a season-high 14 assists in an overtime win against the Los Angeles Lakers on March 4. For the season, Wade averaged 26.6 points on 47.6% field goal shooting, 6.5 assists, 4.8 rebounds, 1.8 steals and 1.1 blocks per game, while leading his team to a 47–35 record, clinching the fifth seed in the NBA Playoffs. In the first round, with the Heat facing a sweep against the Boston Celtics, Wade recorded a career playoff-high and also franchise record 46 points, outscoring the entire Celtics team in the 4th quarter with 19 points versus 15 by Boston. It was also Wade's sixth career playoff game with at least 40 points scored. Despite averaging 33.2 points on 56.4% shooting, 6.8 assists, 5.6 rebounds, 1.6 steals and 1.6 blocks, Wade and the Heat would lose to Boston in five games. During the off-season, Miami-Dade County commissioners voted unanimously to rename the county "Miami-Wade County" for one week from July 1–7, 2010 in Wade's honor and to try and convince Wade to stay in Miami and sign with the Heat. On July 7, it was announced that Wade would be re-signing with the Miami Heat, along with former Toronto Raptor Chris Bosh. The following day, LeBron James announced he would be joining the Heat to play with Wade and Bosh, causing a stir in the media and among fans. The deals were officially announced on July 10; Bosh and James arrived via sign-and-trade deals. The Heat finished with a 58–24 record in the first year of the Big 3 Era and earned the second seed in the Eastern Conference. For the season, Wade averaged 25.5 points, 6.4 rebounds, 4.6 assists, and 1.5 steals per game, shooting 50% from the field. 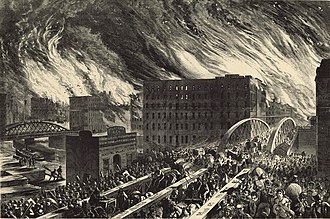 After defeating the Philadelphia 76ers, Boston Celtics, and Chicago Bulls, the Heat reached the Finals but lost to the Dallas Mavericks in six games. Wade averaged 26.5 points, 7 rebounds and 5.2 assists per game for the NBA Finals and 24.5 points, 7.1 rebounds and 4.4 for the entire playoffs. Prior to the beginning of the 2011–12 NBA season, Bosh in 2012 opined Wade should take the last second shot instead of Bosh or James to win or lose a game based on Wade's past success. On February 26, 2012, at the All-Star Game Wade recorded what was only the third triple-double in the history of the contest, posting 24 points, 10 rebounds, and 10 assists, joining Michael Jordan and LeBron James as the only players ever to record the prestigious stat (at the 1997 and 2011 games respectively). On March 10, 2012, Wade made the game-winning shot against the Indiana Pacers, giving the Heat a 93–91 overtime win. Wade finished the season averaging 22.1 points, 4.8 assists, 4.6 rebounds, and 1.7 steals per game. In the playoffs, the Heat defeated the New York Knicks in 5 games in the first round, then defeated the Indiana Pacers in 6 games in the second round. Wade heated up in Game 6 of the second round, recording 41 points and 10 rebounds. The Celtics took the Heat to seven games in the Eastern Conference Finals, but the Heat prevailed and advanced to the NBA Finals. They lost to the Oklahoma City Thunder in Game 1 of the finals but won the next four games, and Wade secured his second NBA title. Wade averaged 22.6 points per game in the series. The Heat became the first team in NBA history to win a championship after trailing in three different playoff series. Before the start of the 2012–13 NBA season, Wade underwent surgery due to a left knee injury. He missed the 2012 Summer Olympics. While Wade missed the Heat's first pre-season game against the Atlanta Hawks, he returned in time for the Heat's second pre-season game against the Los Angeles Clippers, which was held at the MasterCard Center in Beijing, China. 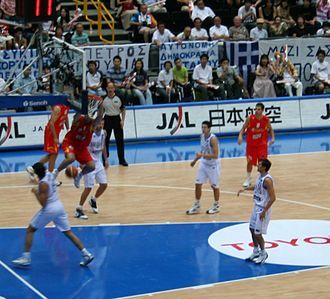 Miami won the game 94–80. On December 26, 2012, during an away game against the Charlotte Bobcats, Wade kicked guard Ramon Sessions in the groin. The following day, Wade was suspended by the NBA for one game. Wade finished the 2012–2013 season with averages of 21.2 points, 5 rebounds and 5.1 assists per game. In the playoffs, injuries limited Wade to a career-low scoring average of 15.9 points per game, but he upped his average to 19.6 points a game during the NBA Finals against the San Antonio Spurs. After the teams split the first two games in Miami, the Spurs blew out the Heat in game 3 to take a 2–1 series lead. In game 4, Wade scored 32 points on 56 percent shooting to go with 6 steals as the Heat defeated the Spurs 109–93. The Spurs would bounce back in game 5 despite Wade's 25 points and 10 assists. Wade scored 14 points in Miami's overtime win in game 6, followed by 23 points and 10 rebounds in game 7 as the Heat clinched their second straight championship and Wade's third title. In the 2013–14 season, Wade played in 54 games due to injury and the team's decision to rest him during back-to-back games. Wade averaged 19 points per game and posted a career-high 54 percent field goal percentage, and had notable games in victories against elite teams such as a 32-point outing against the Pacers on November 7 and 29 points against the Los Angeles Clippers on December 18. In the playoffs, the team increased Wade's minutes per game, noted by a 28-point performance in the closing game of Miami's second-round victory over the Brooklyn Nets and a 23-point outing in a crucial game 2 road victory against Indiana in the Eastern Finals. The Heat would go on to win the series in six games, advancing to their fourth straight NBA Finals. Wade averaged 19.1 points a game during the playoffs on 52 percent shooting, his best percentage in a playoff run since 2010. The Heat would once again face the San Antonio Spurs in the 2014 NBA Finals. However, they would lose in five games. On June 28, 2014, Wade and teammates James and Bosh all opted out of their contracts in order to cut costs with the intention of all re-signing. James announced on his website on July 11 that he was returning to Cleveland after four successful seasons with Wade in Miami. Four days later, Wade re-signed with the Heat and was later joined by a returning Bosh, Udonis Haslem, Chris Andersen and Mario Chalmers as well as former rivals Danny Granger and Luol Deng. After playing in the Heat's first eight games of the 2014–15 season, Wade missed seven consecutive games due to a hamstring injury. 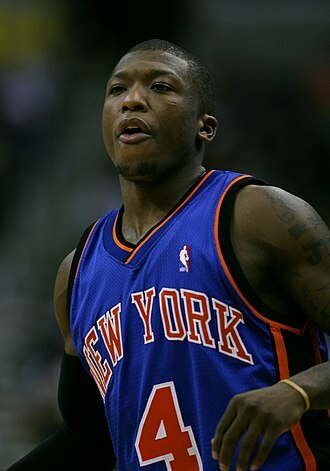 He returned to action on November 30 against the New York Knicks to score a then season-high 27 points in an 88–79 win. On December 17, despite Wade's season-high 42 points, the Heat were defeated 105–87 by the Utah Jazz. He was named an All-Star for the 11th time, however, on February 11, he pulled out of the game due to another hamstring injury and was replaced by Kyle Korver. The Heat finished the season with a 37–45 win–loss record, as Wade missed the postseason for just the second time in his career. On June 29, 2015, Wade opted out of his contract with the Heat to become a free agent. On July 10, 2015, he re-signed with the Heat once again to a one-year, $20 million contract. Wade hit just seven shots from beyond the arc during the entire 2015–16 regular season. However, the 2016 postseason saw a change in Wade's play. He converted on his first seven three-point shot attempts before missing his first one during a Game 3 loss to the Toronto Raptors in the conference semi-finals. According to Elias Sports Bureau, Wade had never made more than five three-pointers in a row during his career. In July 2016, Wade joined his hometown team, the Chicago Bulls, on a two-year deal worth approximately $47 million. Initially, the Heat offered a two-year, $20 million contract, before increasing it to a two-year, $40 million offer, both of which Wade felt were unacceptable. The relationship ended on bad terms with Wade, team president Pat Riley and the Heat squabbling over his contract. Wade balked at the Heat's offer as he was seeking more money and another year, but the Heat did not increase its offer, leading to Wade looking at alternative options. Wade teamed-up with Jimmy Butler and Rajon Rondo in Chicago, with the trio being coined the "Three Alphas". In January 2017, the trio were all fined for criticizing their young teammates' effort, and in March 2017, Wade sustained a fractured elbow. Wade returned in time for the playoffs, but the Bulls were defeated 4–2 by the Boston Celtics in the first round despite going up 2–0 in the series. The chemistry of the team, which was one of the biggest question marks for the Bulls all season, was strong over the first two games, but dwindled over the final four games after Rondo missed all four with an injury. On September 24, 2017, three months after trading Butler and waiving Rondo, the Bulls reached an agreement on a buyout with Wade. Three days later, Wade signed with the Cleveland Cavaliers. Wade took a chance at teaming up with LeBron James once again, but the union took a turn for the worse almost immediately, with Wade balking at coach Tyronn Lue's plan to bring him off the bench. Wade started for the Cavaliers in the first three games of season but struggled mightily, shooting 7-for-25 from the field. After a blowout loss to the Orlando Magic in the third game, Wade volunteered to demote himself to a bench role for the betterment of the team. Wade eventually took to the bench role and became the leader of the second unit. On February 8, 2018, at the NBA trade deadline, the Cavaliers committed to a massive overhaul of their roster. After acquiring guards Jordan Clarkson, George Hill and Rodney Hood, combined with the youth movement of Cedi Osman, it was made clear to Wade that his role with the Cavaliers would be reduced. Cleveland wanted to "do right" by Wade, and as such, Wade was traded back to the Miami Heat in exchange for a protected 2024 second-round draft pick. At the funeral of Wade's long-time agent Henry Thomas in January 2018, Wade mended relations with Heat president Pat Riley; less than two weeks later, Wade found himself back in Miami. Wade fully believed for many months that he would eventually return to the Heat, though he figured it would happen in a free-agent deal in the summer of 2018. On February 9, in his return game for the Heat, Wade was introduced with a standing ovation from the crowd and came off the bench to score three points on 1-of-6 shooting with two assists, one rebound, a key late block, and four turnovers in 22 minutes of play in a 91–85 win over the Milwaukee Bucks. On February 27, Wade scored a season-high 27 points, the last of those coming on a jumper that gave Miami its only lead of the fourth quarter with 5.9 seconds left, as the Heat rallied to beat the Philadelphia 76ers 102–101. Wade had 15 of his points in the fourth quarter. On April 3, in a 101–98 win over the Atlanta Hawks, Wade reached 5,000 assists in a Heat uniform, becoming the ninth player to score 20,000 points and collect 5,000 assists with one team, joining Karl Malone, Kobe Bryant, Michael Jordan, LeBron James, Larry Bird, John Havlicek, Oscar Robertson and Jerry West. On April 16, Wade scored 28 points to end the 76ers' 17-game winning streak and lead the Heat to a 113–103 Game 2 win over Philadelphia and even the first-round playoff series. He passed Larry Bird for 10th on the NBA's career postseason scoring list. The Heat lost the series in five games. In the off-season, Wade announced his intentions to retire after the 2018–19 season, re-signing with the Heat for one final season on September 18. He missed seven games in mid-November due to the birth of his daughter. On November 25, in a 125–115 loss to the Toronto Raptors, Wade scored a season-high 35 points, the most ever by a Miami bench player. On December 9, he scored 25 points in his 1,000th career game, leading the Heat to a 121–98 victory over the Los Angeles Clippers. On January 6, 2019, Wade became the third player in NBA history to record at least 20,000 points, 5,000 assists, 4,000 rebounds, 1,500 steals, 800 blocks and 500 three-pointers, while the Heat lost 106–82 to the Atlanta Hawks. In recognition of his All-Star career, Wade was named by NBA Commisioner Adam Silver as a special roster addition for the 2019 All-Star game, thus marking his 13th All-Star appearance. Wade had received the second-most fan votes for guards in the Eastern Conference. On April 9, Wade played his last home game in Miami, scoring 30 points in the Heat's 122–99 win against the 76ers. In his final game the following night, Wade recorded his fifth career triple-double with 25 points, 11 rebounds, and 10 assists in a 113–94 loss to the Brooklyn Nets. Wade was a member of the 2004 U.S. national team with fellow NBA All-Stars LeBron James and Carmelo Anthony. The team competed in the 2006 FIBA World Championship in Japan, in which Wade averaged 19.3 points per game. The team won a bronze medal, which disappointed many United States' fans who had hoped for a return to the days of the original "Dream Team". Wade was named to the national team from 2006 to 2008. He was named co-captain of the 2006 team, along with James and Anthony. In 2007, due to injury, Wade was unable to compete at the FIBA Americas Championship, where the United States compiled a 10–0 record and qualified for the 2008 Summer Olympics in Beijing, China. 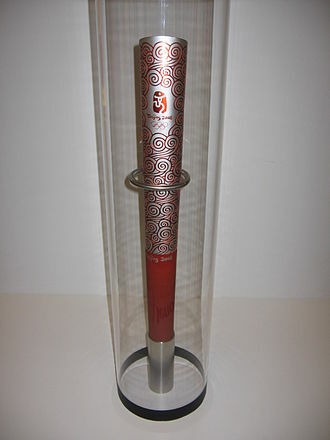 At the 2008 Summer Olympics, the United States went unbeaten and earned gold medal honors, defeating the 2006 World champion Spain in the final game. Wade led the team in scoring throughout the tournament and tallied a game-high 27 points in 27 minutes on 75% field goal shooting and added 4 steals, 2 assists and 2 rebounds in the game. For the tournament, he averaged a team-high 16 points in 18 minutes on 67% field goal shooting, 4 rebounds, 2 assists and 2.3 steals, as the United States lived up to their Redeem Team moniker and captured gold medal honors for the first time since 2000. Wade withdrew himself from consideration for the 2012 Summer Olympics in London because of knee surgery. Standing at 6 feet 4 inches (1.93 m) tall and weighing 220 pounds (100 kg), Wade is a shooting guard that is also capable of playing point guard as he did during his rookie season and in subsequent seasons with smaller lineups. On offense, he has established himself as one of the quickest and most difficult players to guard, as well as one of the best slashers in the NBA. Wade's signature one-two step allows him to dash past bigger defenders and occasionally get the extra foul shot. Wade is able to get to the free throw line consistently; he ranked first in free-throw attempts per 48 minutes in 2004–05 and again in the 2006–07 season. He has proven himself an unselfish player, averaging 5.4 assists per game throughout his career. After winning the NBA Finals MVP Award in 2006, Wade developed a reputation as one of the premier clutch players in the NBA. He has gained a reputation for being capable of hitting game-winning baskets and potential game-winning free throws. David Thorpe, an athletic trainer who runs a training center for NBA players in the off-season, also cites Wade's developing post up game as one of his strengths. "Watching Wade operate on the left block is literally like watching old footage of MJ (Michael Jordan)", comments Thorpe. Thorpe goes on to say that Wade's best moves from the post are his turnaround jump shot, double pivot, and what Thorpe terms as a "freeze fake", a pump fake Wade uses to get his opponent to jump, so that he can then drive around him to the basket. The main weakness cited in Wade's ability is his lack of three-point range; he has averaged .293 on three-point field goal attempts for his career. Wade is best known for his ability to convert difficult lay-ups, even after hard mid-air collisions with larger defenders. As crowd pleasing as his high-flying style of basketball may be, some have expressed concerns over the dangers of playing in this manner, as Wade has already hurt his knees and wrists after mid-air collisions with larger players. Wade has also established himself on defense for his ability to block shots and accumulate steals. He became the NBA's all-time leader in blocks for players listed 6 feet 4 inches (1.93 m) and under, which he achieved in only 679 games, over 400 games less than the previous record holder: Dennis Johnson (1,100). Wade married his high school girlfriend Siohvaughn Funches in 2002. He filed for a divorce in 2007, which was granted in 2010 after a lengthy and acrimonious court battle. In 2011, Wade was granted sole custody of his two sons with Funches. Wade also raises a nephew, who is the son of Wade's sister Deanna. Wade began dating actress Gabrielle Union in 2009. According to Wade, he and Union briefly split up at some point early in 2013 due to career demands. During that time, Wade and longtime friend Aja Metoyer conceived a son. Wade and Union became engaged in December 2013, and married on August 30, 2014, in Miami. On November 7, 2018, Wade became a father for the fourth time, when he and Union welcomed the birth of their daughter who was born via surrogate. Wade has spoken out about violence in Chicago, in part due to his own family's experience with it. His nephew, Darin Johnson, was shot twice in the leg in 2012 but recovered. Wade's first cousin, 32-year-old Nykea Aldridge, was fatally shot on the afternoon of August 26, 2016, while pushing a stroller in Chicago's Parkway Gardens, when two men exchanged gunfire nearby, hitting her in the arm and the head. A mother of four, Aldridge was pronounced dead at the hospital. The child in the stroller was not hurt. Wade, who had recently spoken publicly about the area's problem of violence, reacted by tweeting, "Another act of senseless gun violence. 4 kids lost their mom for NO REASON. Unreal. #EnoughIsEnough". Wade's nicknames include D-Wade and Flash, which was given to him by former teammate Shaquille O'Neal who would sing, "He's the greatest in the Universe", in reference to the Queen song of the same name from the 1980 film Flash Gordon. The Heat's 2005 NBA Playoffs run and Wade's performances with Shaquille O'Neal hampered by injury, led to an explosion of media attention and rapid increase in Wade's popularity. During those playoffs, Wade's jersey became the top selling jersey in the league and remained so for nearly two years. 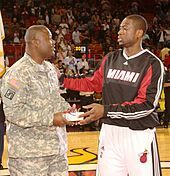 After the Heat's success and Wade's memorable performances during the 2006 NBA Playoffs, Wade was further elevated into the public's eye and appeared on several talk shows, including Late Show with David Letterman and Live with Regis and Kelly. He also made a guest star appearance on Disney Channel's Austin & Ally as himself, who is an obsessed fan of Austin Moon. Wade has been featured in a number of magazine articles and publications. In 2005, he was featured on People's 50 Most Beautiful People, and in 2006 he was named the NBA's best-dressed player by GQ Magazine. In 2007, Esquire named him to their 4th annual Best Dressed Men in the World list for the second straight year. Wade has endorsement deals with companies such as Gatorade, Lincoln, Staples, Sean John, T-Mobile (his TV commercials feature him paired with NBA legend Charles Barkley), and Topps. He had his own line of shoes with Converse named "The Wade" and a series of Sidekick phones known as the D-Wade Edition with T-Mobile. During the 2009–10 season, Wade switched from Converse to Nike's Jordan Brand. Wade noted that the partnership ended on good terms, stating, "When I came into the NBA, I didn't have a lot of exposure and Converse gave me an opportunity to head a brand and be the face of a brand. I'm really thankful for six long, good years. I've gotten five shoes out of the deal and my dream came true at the Converse brand because they put my name on a pair of sneakers." Wade was hand-chosen by Michael Jordan and debuted the Air Jordan 2010 during the 2010 NBA All-Star break. During the 2011 NBA Playoffs, Wade debuted his first signature shoe for the Jordan Brand, joining fellow players Carmelo Anthony and Chris Paul, who have their own signature shoes for the brand. After his Jordan Brand contract expired in 2012, Wade signed with the Chinese athletic brand Li-Ning. Wade is active in encouraging youth to develop their talents as seen in this talent search at the Chicago Theatre. Wade is well known for his philanthropic involvement in various organizations. In 2003, he founded The Wade's World Foundation, which provides support to community-based organizations that promote education, health, and social skills for children in at-risk situations. He hosts a variety of community outreach programs in Chicago and South Florida. In 2008, he announced his partnership with former teammate Alonzo Mourning's charitable foundation and co-hosted ZO's Summer Groove, an annual summer event. On December 24, 2008, Wade purchased a new home for a South Florida woman whose nephew accidentally burned down the family home. In addition, Wade donated some furnishings, clothing, and gifts to the family for the holiday. After breaking his own Miami Heat single-season scoring record, Wade gave the jersey he wore in that night's victory to 8-year-old Michael Stolzenberg, an avid Heat fan that had his hands and feet removed surgically due to a bacterial infection. Wade stated that he knew Stolzenberg previously and wished to add to his collection of Heat memorabilia. 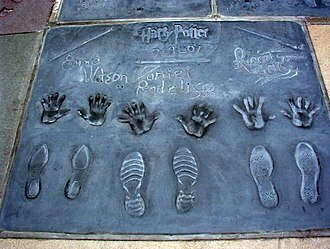 Wade has been known for visiting other sick children, usually in private to avoid placing himself in the media spotlight. In September 2009, Wade donated money from his foundation to keep the Robbins, Illinois public library from having to shut down. He handed the library director Priscilla Coatney a $25,000 check in order to resurrect the building, which brought Coatney to tears. He called the donation a "small contribution", and reminisced about the difficult experiences he faced as a child, stating that he sometimes did not know how he would find his next meal. In January 2010, Wade and Alonzo Mourning co-founded The Athletes Relief Fund for Haiti", which raised money to help the victims of the 2010 Haiti earthquake. In the three days since the fund began soliciting donations from athletes, Wade announced that the "Athletes Relief Fund for Haiti" had already raised over $800,000. Wade stated, "I expected nothing less from my friends and colleagues in the sports community, our commitment to this cause knows no bounds, and we will continue to accept any and all donations throughout the days ahead." Wade is also an avid supporter of St. Jude Children's Research Hospital and has served as an Ambassador for their Hoops for St. Jude basketball initiative. Wade is a devout Christian and chose the number 3 throughout most of his career because it represents the Holy Trinity. He tithes 10% of his salary to a church in Chicago. His mother, Jolinda, strengthened her ties to Christianity in 2001 after years of drug abuse and dealing. She served as a minister during her final prison sentence in 2002 and 2003. She was ordained as a Baptist minister in January 2007 and formed the non-denominational Temple of Praise Binding and Loosing Ministry in Chicago. In May 2008, Wade purchased a church building for his mother's ministry. ^ Reynolds, Tim (February 8, 2018). "Only On AP: Dwyane Wade talks his return to Miami". 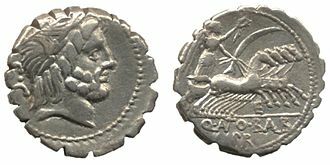 apnews.com. Associated Press. Retrieved February 9, 2018. ^ Raab, Scott (November 17, 2010). "Dwyane Wade : Of the Holy Trinity, Which One Is He?". 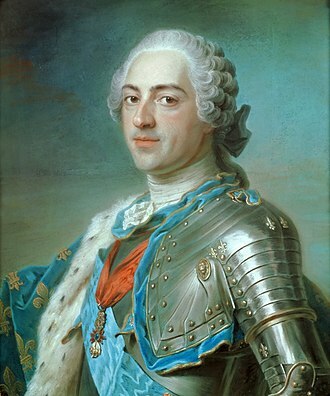 Esquire. I'm a junior—I got that name from my father. I asked him—my grandma said that's how she felt it was spelled. There you go. ^ a b Shipley, Amy. "Schooled With Hard Knocks. ", Washington Post, May 10, 2005. Retrieved June 15, 2007. ^ Jennifer LeClaire. "She Ain't Playin'". Charisma Magazine. Retrieved January 3, 2016. ^ a b Joseph, Dave. "Hometown still guides Wade", Sun-Sentinel, May 29, 2005. ^ Dodds, John. "Tom Crean Talks About Dwyane Wade." Archived November 1, 2006, at the Wayback Machine, www.marquette.scout.com, June 22, 2006. Retrieved January 29, 2007. ^ a b Gregory, Sean. "Dwyane Wade's Rarefied Air. ", www.time.com, June 21, 2006, Retrieved May 15, 2008. ^ "Dwyane Wade." Archived January 24, 2007, at the Wayback Machine www.askmen.com. Retrieved January 20, 2007. ^ a b c d e f g "Men's Basketball: Dwyane Wade. ", www.marquette.cstv.com. Retrieved January 20, 2007. ^ Kamalsky, Matt. "DraftExpressProfile: Dwyane Wade." www.draftexpress.com, May 6, 2008. Retrieved November 26, 2013. ^ "Wade's jersey to be retired."www.marquettewire.org. Retrieved November 2, 2009. ^ a b c d e f "Dwyane Wade." Archived February 6, 2007, at the Wayback Machine www.databasketball.com. Retrieved January 28, 2007. ^ a b c d e f g h i j k "Dwyane Wade: Biography." Archived January 17, 2007, at the Wayback Machine NBA.com. Retrieved April 26, 2008. ^ "Dwyane Wade Marquettee Jersey." www.archive.is. archived from http://www.dwaynewadejersey.net/marquette.php, July 28, 2012. Retrieved November 29, 2013. ^ Associated Press. "Dwyane Wade to enter NBA draft." Archived October 12, 2007, at the Wayback Machine www.signonsandiego.com, May 1, 2003. Retrieved January 29, 2007. ^ "Marquette to Retire Dwyane Wade's Number. 3 Jersey." www.cstv.com, September 29, 2006. Retrieved January 20, 2007. ^ "Miami Heat 2003–04 Game Log and Scores." Archived October 12, 2007, at the Wayback Machine, www.databasebasketball.com. Retrieved January 20, 2007. ^ a b "Miami Heat (1988 - )" Archived February 3, 2007, at the Wayback Machine www.databasebaketball.com. Retrieved January 20, 2007. ^ a b c "Miami Heat 2004–05 Game Log and Scores." Archived May 25, 2006, at the Wayback Machine www.databasebasketball.com. Retrieved January 29, 2007. ^ "2005 Playoff Eastern Conference Finals Game 6." www.nba.com. Retrieved January 20, 2007. ^ "2006 NBA All-Star Game." www.nba.com. Retrieved January 20, 2007. ^ "Shaq Daddy's double-double drops 'Baby Bulls' out of postseason." www.cbs.sportsline.com, May 4, 2006. Retrieved January 20, 2007. ^ a b "Heat Headed To First NBA Finals." www.nba.com. Retrieved January 31, 2007. ^ "Wade's heroics Have Heat One Win From Title." www.nba.com, June 8, 2006. Retrieved January 31, 2007. ^ 'Box score-Game 4 2006 NBA Finals." www.nba.com. Retrieved January 31, 2007. ^ "Box Score-Game 3 2006 NBA Finals. www.nba.com. Retrieved January 20, 2007. ^ "Wade, Payton Rally Heat Past Mavericks in Game 3." www.nba.com. Retrieved January 20, 2007. ^ "Wade's World: Finals MVP leads Heat to first title in team history". www.espn.com. June 20, 2006. Retrieved June 17, 2010. ^ Nance, Roscoe. "Who's the best in the NBA: The case for D-Wade." USA Today, October 31, 2006. Retrieved March 12, 2007. ^ Hollinger, John. "Greatest Finals performances - No. 1." www.espn.com, June 15, 2012. Retrieved December 1, 2013. ^ "Miami Heat Schedule/Results - 2006-07." www.espn.com. Retrieved February 26, 2007. ^ "Pacers Storm Back, Beat Heat in Shaq's Return." www.nba.com. Retrieved April 12, 2007. ^ "Wade Injured as Heat Fall to Rockets." www.nba.com. Retrieved April 12, 2007. ^ Associated Press. "Wade injured in Riley's return; Heat lose to Rockets." www.espn.com. Retrieved February 21, 2007. ^ "Season-ending surgery an option for Wade." www.espn.com, February 23, 2007. Retrieved February 25, 2007. ^ "Wade says he'll try to return for playoffs. "www.espn.com, March 5, 2007. Retrieved March 5, 2007. ^ "Wade's return doesn't spell win as Heat fall to Bobcats." www.espn.com. Retrieved April 8, 2007. ^ a b c d e "Dwyane Wade." www.basketball-reference.com. Retrieved April 18, 2007. ^ "Bulls strip Heat's crown, win first series since Jordan era." www.espn.com. Retrieved April 27, 2007. ^ "Wade might need offseason to recover." www.espn.com. Retrieved May 15, 2007. ^ "Wade returns for Heat, but Durant, Sonics end 0-8 start." www.espn.com. Retrieved November 14, 2007. ^ "Procedure to sideline Wade for rest of season." www.espn.com. Retrieved March 10, 2008. ^ "Garnett, Kobe, Iverson headline All-Star starters roster." www.espn.com. Retrieved November 14, 2007. ^ "Wade To Have OssaTron Treatment." www.nba.com. Retrieved March 10, 2008. ^ "First Time for Wade." www.uofmtigers.blogspot.com, November 20, 2008. Retrieved, December 9, 2013. ^ "Miami Heat's Dwyane Wade: 'I'm ready to go.'" www.topix.com. Retrieved, December 9, 2013. ^ "Raptors' big men roll as Wade's 40 points, 11 assists not enough for Heat." www.espn.com. Retrieved January 23, 2009. ^ "Howard tops balloting for 2009 NBA All-Star Game." Archived January 24, 2009, at the Wayback Machine www.nba.com, February 10, 2009. Retrieved, January 22, 2009. ^ a b "Magic cool down Heat despite Wade's career-high 50 points." www.espn.com. Retrieved, February 23, 2009. ^ 'Wade's career-best 16 assists send Pistons to 7th straight loss." www.espn.com. Retrieved, February 24, 2009. ^ Arnovitz, Kevin. "Daily Dime: Rockets Are Still Dangerous Without McGrady." www.espn.com, February 25, 2009. Retrieved, March 1, 2009. ^ a b "Wade scores 46, 15 coming in a 19–0 run in the fourth, as Heat sink Knicks." www.espn.com. Retrieved, March 1, 2009. ^ a b "LeBron outduels Wade 42–41 as Cavs rally from 11 down in 4th quarter." www.espn.com. Retrieved, March 4, 2009. ^ a b "Wade has 35 points, 16 assists in Heat victory." www.espn.com. Retrieved, March 5, 2009. ^ a b 'Wade helps Heat nip Bulls in double-overtime win." www.espn.com. Retrieved, March 15, 2009. ^ "Elias Says: Monster Game for Wade." www.espn.com. Retrieved, March 15, 2009. ^ a b "Wade's 50 points, 10 boards lead Heat's 3OT win over Jazz." www.espn.com. Retrieved, March 15, 2009. 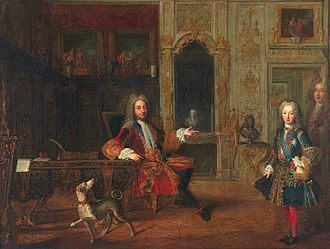 ^ Haberstroh, Tom. "Inside Wade's all-time blocks mark." www.espn.com, December 2, 2013. Retrieved February 12, 2014. 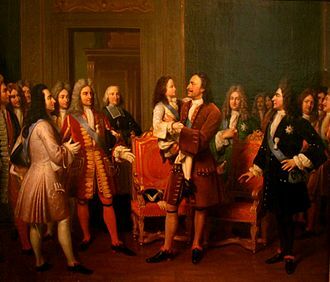 ^ "Lessons in Transcending Valuable: Part III. ", www.nbamate.com. Retrieved, March 27, 2009. ^ "Miami moves three games ahead of Pistons in East standings." www.espn.com. Retrieved, March 24, 2009. ^ "Wade's double-double paces Heat past Bobcats, into playoffs." www.espn.com. Retrieved April 9, 2009. ^ a b "Wade drops in career-high 55 as Heat clinch East's 5th playoff spot." www.espn.com. Retrieved April 13, 2009. ^ "Wade reaches milestone." www.espn.com. Retrieved November 2, 2009. 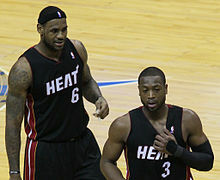 ^ "Cavs prevail as James, Wade put on show in Miami." www.espn.com. Retrieved November 13, 2009. ^ "Nets remain winless after Wade drains winner from 3 in final second." www.espn.com. Retrieved November 15, 2009. ^ "Rondo has 25, tying layup before Celts win in OT." www.espn.com. Retrieved January 7, 2010. ^ "Voters pick LeBron, Kobe to lead East, West to Dallas." Archived January 25, 2010, at the Wayback Machine www.nba.com. Retrieved January 22, 2010. ^ "2010 NBA All-Star Game recap." www.nba.com. Retrieved February 15, 2010. ^ "Wade strains calf and leaves Heat's win early." www.espn.com. Retrieved February 18, 2010. ^ "Wade, Stoudemire named Players of the Month for March." Archived April 5, 2010, at the Wayback Machine www.nba.com. Retrieved April 3, 2010. ^ "Heat stave off elimination as Wade dominates Celtics in second half." www.espn.com. Retrieved April 26, 2010. ^ "Celtics boot Wade, Heat to set up showdown with Cavs." www.espn.com. Retrieved June 6, 2010. ^ "Miami-Dade County now Miami-Wade County". ESPN.com. June 16, 2010. ^ "Wade granted one of his wishes with Bosh coming to Miami". www.nba.com. Archived from the original on September 15, 2010. Retrieved October 30, 2010. ^ Stanhope, Kate. "LeBron James Leaves the Cleveland Cavaliers for Miami Heat." www.tvguide.com, July 8, 2010. Retrieved January 2, 2014. ^ "HEAT Re-Sign Wade and Acquire James and Bosh". NBA.com. July 10, 2010. Retrieved February 27, 2013. ^ Hillesland, Zac. "Mavs Win the N.B.A. Championship." www.offthedribble.blogs.nytimes.com, July 12, 2011. Retrieved January 2, 2014. ^ Goodman, Joseph. "Dwyane Wade leads Miami Heat over Indiana Pacers to advance to Eastern Conference Finals." www.miamiherald.com, May 24, 2012. Retrieved January 2, 2014. ^ "Dwyane Wade will miss Olympics." www.espn.com, June 29, 2012. Retrieved January 2, 2014. ^ Associated Press (July 9, 2012). "Dwyane Wade has knee surgery." ESPN.com. Retrieved December 28, 2012. ^ Winderman, Ira (October 11, 2012). "Dwyane Wade returns as Heat pound Clippers 94–80." South Florida Sun-Sentinel. Retrieved December 28, 2012. ^ "Heat at Clippers – October 11, 2012." www.nba.com. Retrieved December 28, 2012. ^ Joseph, Adi. "Dwyane Wade on groin kick, suspension: 'I just reacted.'" www.usatoday.com, December 28, 2012. Retrieved January 30, 2014. ^ Beck, Howard. "Pushed to the Limit, James and Miami Repeat as N.B.A. Champions." 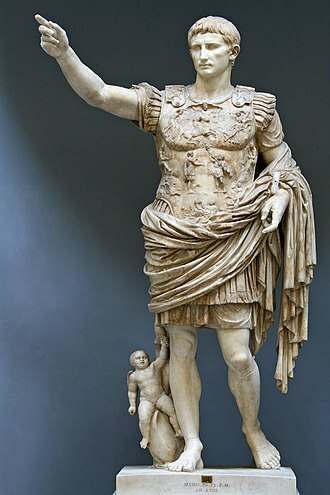 www.nytimes.com, June 20, 2013. Retrieved January 30, 2014. ^ "2013 NBA Finals." www.basketball-reference.com. Retrieved January 30, 2014. ^ Sean Newell. "Dwyane Wade And Chris Bosh Opt Out Of Contracts". Deadspin. Retrieved January 3, 2016. ^ "HEAT Re-Signs Dwyane Wade". Miami Heat. Retrieved January 3, 2016. ^ "Heat at Knicks". NBA.com. Retrieved January 3, 2016. ^ "Jazz at Heat". NBA.com. Retrieved January 3, 2016. ^ "Dwyane Wade of Miami Heat won't play in 2015 NBA All-Star Game". ESPN.com. Retrieved January 3, 2016. ^ "Dwyane Wade opts out of contract with Heat; Luol Deng opts in". miamiherald. Retrieved January 3, 2016. ^ "HEAT Re-Signs Dwyane Wade". NBA.com. July 10, 2015. Retrieved July 13, 2015. ^ Siddiqi, DJ (May 9, 2016). "Wade bounces back in shooting". clutchpoints.com. Retrieved May 12, 2016. ^ Reynolds, Tim (July 7, 2016). "Coming home: Dwyane Wade leaving Heat for Bulls". 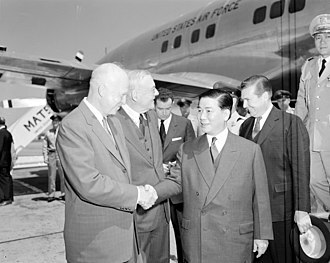 apnews.com. Associated Press. Retrieved February 9, 2018. ^ "Bulls sign Dwyane Wade". NBA.com. July 15, 2016. Retrieved July 15, 2016. ^ Harper, Zach (July 1, 2016). "Reports: Heat's initial offer angered Dwyane Wade; four teams pursuing him". CBSSports.com. Retrieved April 11, 2019. ^ "Dwyane Wade commits to Bulls, thanks Heat Nation". ESPN.com. July 8, 2016. Retrieved February 9, 2018. ^ Berger, Ken (July 7, 2016). "As Dwyane Wade walks away from Miami, nothing seems sacred anymore". cbssports.com. Retrieved February 9, 2018. ...it was also unacceptable from Wade's viewpoint. ^ Navarro, Manny (July 6, 2016). "Dwyane Wade leaving Miami Heat for Chicago Bulls". miamiherald.com. Retrieved February 9, 2018. ^ Le Batard, Dan (July 7, 2016). "Messy breakup is sad, traumatic ending to Wade's epic Miami story". miamiherald.com. Retrieved February 9, 2018. ^ a b c d Johnson, K.C. (September 24, 2017). "Dwyane Wade confirms buyout agreement with Bulls: 'I feel I can still play'". chicagotribune.com. Retrieved February 9, 2018. ^ Boone, Kyle (May 9, 2017). "Rajon Rondo: Bulls would've swept Celtics in first round if not for thumb injury". cbssports.com. Retrieved February 9, 2018. ^ "Cavaliers Sign Dwyane Wade". NBA.com. September 27, 2017. Retrieved September 27, 2017. ^ McMenamin, Dave (March 27, 2018). "A chaotic Cavs stint didn't shake the LeBron-Wade friendship". ESPN.com. Retrieved March 27, 2018. ^ a b c Wojnarowski, Adrian (February 8, 2018). "Cavaliers deal guard Dwyane Wade back to Heat". ESPN.com. Retrieved February 9, 2018. ^ "HEAT Acquire Dwyane Wade". NBA.com. February 8, 2018. Retrieved February 8, 2018. ^ "Dwyane Wade returns to Miami after mending fences with Pat Riley at agent's funeral". ESPN.com. February 8, 2018. Retrieved February 9, 2018. ^ "Heat snap five-game losing streak in Wade's return". ESPN.com. February 9, 2018. Retrieved February 9, 2018. ^ "Father Prime: Wade gets 27, Heat beat 76ers 102-101". ESPN.com. February 27, 2018. Retrieved February 27, 2018. ^ "x-Miami: Heat clinch playoff spot, top Hawks 101-98". ESPN.com. April 3, 2018. Retrieved April 4, 2018. ^ "Wade turns back the clock and 76ers in Game 2 Heat victory". ESPN.com. April 16, 2018. Retrieved April 16, 2018. ^ "Believe it! 76ers roll with Meek Mill past Heat in Game 5". ESPN.com. April 24, 2018. Retrieved April 24, 2018. ^ "Dwyane Wade announces return to Miami Heat for 'one last dance'". NBA.com. September 16, 2018. Retrieved November 21, 2018. ^ Chiang, Anthony (September 18, 2018). "It's official, Dwyane Wade is back for 'one last dance' with the Heat". Miami Herald. Retrieved November 21, 2018. ^ Reynolds, Tim (September 24, 2018). "Dwyane Wade's last dance with Miami Heat begins". NBA.com. Associated Press. Retrieved November 21, 2018. ^ "HEAT Re-Signs Dwyane Wade". NBA.com. September 18, 2018. Retrieved September 18, 2018. ^ "Russell, Nets add to Miami's home misery, top Heat 104-92". ESPN.com. November 20, 2018. Retrieved November 24, 2018. ...and Dwyane Wade returned from a seven-game absence because of the birth of his daughter to score five points. ^ "Leonard has 29, Raptors win 5th straight, top Heat 125-115". ESPN.com. November 25, 2018. Retrieved November 26, 2018. ^ "Wade scores 25 points in his 1,000th game, Heat top Clippers". ESPN.com. December 9, 2018. Retrieved December 9, 2018. ^ "Young, Collins power undermanned Hawks past Heat". ESPN.com. January 6, 2019. Retrieved January 8, 2019. ^ "Mavericks' Dirk Nowitzki and Heat's Dwyane Wade selected to play in 2019 NBA All-Star Game as special roster additions". NBA.com. February 1, 2019. Retrieved February 1, 2019. ^ "NBA All-Star 2019 starters, captains revealed". NBA.com. Retrieved January 24, 2019. ^ Reynolds, Tim (April 9, 2019). "'Still amazing': Dwyane Wade plays his last game in Miami". AP News. Retrieved April 10, 2019. ^ "Wade has triple-double in finale; Nets beat Heat for 6th". ESPN.com. April 10, 2019. Retrieved April 11, 2019. ^ "NBA: Dwyane Wade and Dirk Nowitzki say emotional goodbyes". April 10, 2019 – via www.bbc.co.uk. ^ "USA accumulated statistics - 2006 FIBA World Championship." 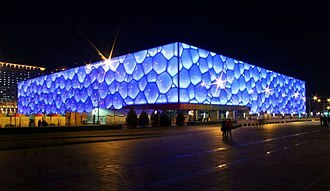 www.fiba.com. Retrieved January 31, 2014. ^ Ventre, Michael. "Our Big Fat Greek Embarrassment." www.msnbc.msn.com, September 2, 2006. Retrieved February 11, 2014. ^ Ventre, Michael. "Our Big Fat Greek Embarrassment." www.AVsite.gr. Retrieved February 11, 2014. ^ Mejia, Tony. "Still in the dumps over Team USA? This'll get you out." Archived October 4, 2006, at the Wayback Machine www.cbs.sportsline.com, September 4, 2006. Retrieved February 6, 2007. ^ "Carmelo Anthony Named One of Three USA World Championship Team Captains." www.nba.com. Retrieved January 28, 2007. ^ "James, Team USA bury Argentina for TOA gold." www.espn.com. Retrieved September 9, 2007. ^ a b "2008 Olympic Basketball: Dwyane Wade." www.fiba.com. Retrieved December 25, 2008. 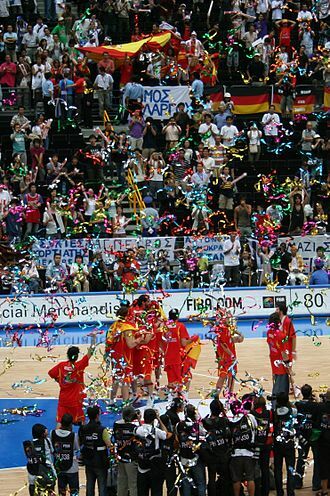 ^ "US hoops back on top, beats Spain for gold medal." www.yahoo.com. Retrieved November 2, 2009. ^ Zillgitt, Jeff. "Dwyane to miss Olympics due to knee surgery." www.usatoday.com, June 28, 2012. ^ a b c Hollinger, John. "Hollinger stats-Dwyane Wade." www.espn.com. Retrieved January 20, 2007. ^ "Wade Leads Heat to First NBA Championship." www.nba.com, June 20, 2006. Retrieved January 29, 2007. ^ a b c d Thorpe, David. "Scouting breakdown: The game's best post players." www.espn.com. Retrieved March 29, 2007. ^ a b Thorpe, David. "Scouting report: Best face-up games." www.espn.com. Retrieved March 29, 2007. ^ Colston, Chris. "In the paint: Wade elevates his defense; Stuckey starting." www.usatoday.com. Retrieved November 2, 2009. ^ "Miami Heat G Dwyane Wade closes in on blocks milestone." www.sportsillustrated.cnn.com, November 8, 2013. ^ "Dwyane Wade wins 2012-13 Kia Community Assist award". Retrieved May 26, 2014. ^ "Dwyane wins custody of sons." www.espn.com, March 15, 2011. Retrieved February 1, 2014. ^ "My Story". www.dwyanewade.com. Retrieved December 1, 2013. ^ Cumberbatch Anderson, Jessica (September 6, 2012). "Dwyane Wade Talks New Book, 'A Father First,' And What He Plans To Teach His Sons About Women". Huffington Post. Retrieved December 31, 2013. ^ a b Cosgrove Baylis, Sheila (December 30, 2013). "Dwyane Wade Fathers Child During Break from Gabrielle Union". People. Retrieved December 31, 2013. ^ Lilly, Christiana (April 23, 2013). "Gabrielle Union: Dwyane Wade Banned Me From Courtside Seats At Miami Heat Games". The Huffington Post. Retrieved May 4, 2013. ^ Johnson, Zach (December 31, 2013). "Dwyane Wade Confirms He Fathered a Son During "Break" With Gabrielle Union, Calls It a "Blessing"". E!. Retrieved December 31, 2013. ^ D'Zurilla, Christie (December 31, 2013). "Dwyane Wade: Yes, I'm the daddy (though my fiancee's not the mom)". Los Angeles Times. Retrieved December 31, 2013. ^ Fowler, Brandi (December 21, 2013). "Gabrielle Union and Dwyane Wade Are Engaged--See the Stunning Ring!". E!. Retrieved December 21, 2013. ^ Juneau, Jen (November 8, 2018). "Gabrielle Union and Dwyane Wade Welcome a Daughter". People.com. Retrieved November 21, 2018. ^ Edison Hayden, Michael; Caplan, David (August 27, 2016). "Dwyane Wade's Cousin Fatally Shot Pushing Baby Stroller in Chicago". ABC News. ^ 'Atlanta Hawks BasketBlog: Five Reasons To Come To The Heat Game." www.nba.com, November 30, 2005. Retrieved February 6, 2007. ^ "Dwyane Wade - USA Basketball." Archived February 2, 2014, at Archive.today www.usoc.org. Retrieved February 1, 2014. ^ "Bryant passes Wade for top-selling jersey at NBA stores." www.espn.com, January 10, 2007. Retrieved May 14, 2007. ^ Pitluk, Adam. "Dwyane Wade." www.time.com, June 23, 2006. Retrieved January 23, 2007. ^ Payne, Marissa (July 14, 2014). "Watch Dwyane Wade sing terribly on the Disney show Austin & Ally". The Washington Post. Retrieved August 21, 2014. ^ "Dwyane Wade Named One of People Magazine's 50 Most Beautiful People." www.nba.com. Retrieved January 20, 2007. ^ Stock, Kyle. "Sportsman Gone Sartorial: Dwyane Wade Tries the Necktie Game." Bloomberg Businessweek, November 14, 2013. Retrieved February 2, 2014. ^ "Dwyane Wade Named to Esquire's 2007 Best Dressed List." 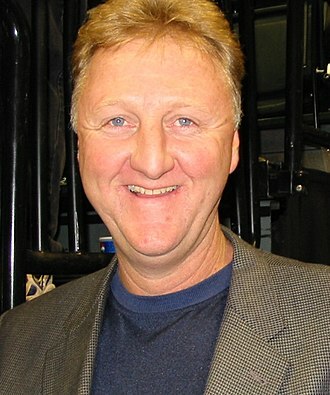 www.insidehoops.com, August 9, 2007. Retrieved February 2, 2014. ^ "Dwyane Wade Named to Esquire's 2007 Best Dressed List." www.nba.com. Retrieved February 2, 2014. ^ Rovell, Darren. "Jersey sales: Wade No. 1, A.I. No. 2, James No. 3." www.espn.com, December 14, 2005. Retrieved February 2, 2014. ^ "Dwyane Wade Joins the T-Mobile Sidekick Team." Archived August 22, 2007, at the Wayback Machine www.t-mobile.com, February 12, 2007. Retrieved August 19, 2007. ^ Rovell, Darren. "The shoe fits Dwyane Wade." www.espn.com, May 16, 2005. Retrieved January 20, 2007. ^ a b "Jumpman: Wade ditches Converse for Jordan Brand." Archived July 19, 2009, at the Wayback Machine www.nba.com. Retrieved July 17, 2009. ^ "Dwyane Wade signs 'lifetime' deal with Li-Ning". ProBasketballTalk. July 19, 2018. Retrieved November 21, 2018. ^ a b "Get To Know Us: Wade's World Foundation." Archived February 18, 2014, at the Wayback Machine www.wadesworldfoundation.org. Retrieved February 8, 2014. ^ Almeida-Shore, Mary Jo. "The Summer Groove with Alonzo Mourning and Dwyane Wade bring a weekend full of fun and all for a good cause." www.miami.com. Retrieved February 8, 2014. ^ "Miccosukee Zo's Summer Groove Announces New Partnership With Dwyane Wade." 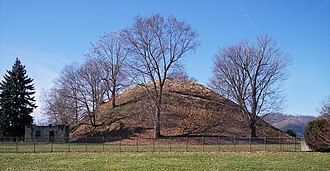 www.prnewswire.com, April 14, 2008. Retrieved February 8, 2014. ^ a b "Wade Helps Family Displaced by Fire." www.espn.com, December 24, 2008. Retrieved, February 8, 2014. ^ a b c Associated Press. "Dwyane Wade gives jersey to sick boy after Miami Heat game." www.espn.com, March 24, 2009. Retrieved February 8, 2014. ^ "NBA's Dwyane Wade helps out struggling Robbins library with $25,000 check." 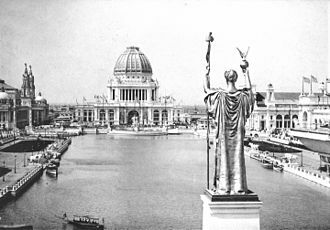 www.articles.chicagotribune.com, September 11, 2009. ^ Holmes, Evelyn. "Dwyane Wade helps Robbins library." www.abclocal.go.com, September 11, 2009. Retrieved February 8, 2014. ^ Sandler, Michael, and Charlie Zegers. Dwyane Wade (Basketball Heroes Making a Difference.) ISBN 1617724416. Google Books. Retrieved February 8, 2014. ^ a b c "Mourning, Wade raise money for Haiti." www.espn.com, January 18, 2010. Retrieved February 8, 2014. ^ "NBA Stars Launch Hoops for St. Jude Week." www.lookthestars.org, March 28, 2012. Retrieved February 8, 2014. ^ "Ain't Nothing But A Number." www.nba.com. Retrieved March 10, 2008. ^ Pinto, Matt. "Pinto's Preview: Clippers at Heat." www.nba.com, January 3, 2006. Retrieved March 12, 2007. ^ "Big offering: Wade gives mother a church." www.usatoday.com, May 18, 2008. Retrieved February 10, 2014. Wikimedia Commons has media related to Dwyane Wade. The 2005 NBA All-Star Game was an exhibition basketball game which was played on February 20,2005 at Pepsi Center in Denver, home of the Denver Nuggets. This game was the 54th edition of the North American National Basketball Association All-Star Game and was played during the 2004–05 NBA season. For the second time in the last six years, the East defeated the West 125-115, Iverson scored 15 points, handed out 10 assists, and had 5 steals. Ray Allen led the West with 17, and 5-for-11 from three-point range, the coaches for the All-Star game were the head coaches who led the teams with the best winning percentages in their conference through the games of February 6,2005. The coach for the Western Conference team was San Antonio Spurs head coach Gregg Popovich, the Spurs had a 41-12 record on February 20. The coach for the Eastern Conference team was Miami Heat head coach Stan Van Gundy, the Heat had a 40-14 record on February 20. The rosters for the All-Star Game were chosen in two ways, the starters were chosen via a fan ballot. Two guards, two forwards and one center who received the highest vote were named the All-Star starters, the reserves were chosen by votes among the NBA head coaches in their respective conferences. 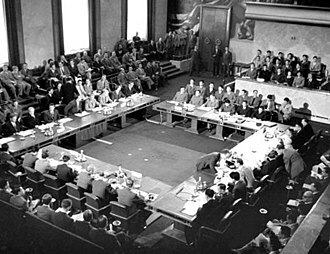 The coaches were not permitted to vote for their own players, the reserves consist of two guards, two forwards, one center and two players regardless of position. If a player is unable to due to injury, the commissioner will select a replacement. The 2005 NBA All-Star introduced international players who have become today’s superstars, amongst the players selected were, Žydrūnas Ilgauskas, Manu Ginobili, Steve Nash, Dirk Nowitzki along with voted-starters Tim Duncan and Yao Ming. This game tied the 2003 and 2004 All-Star Game record for the most international All-Stars in one year. 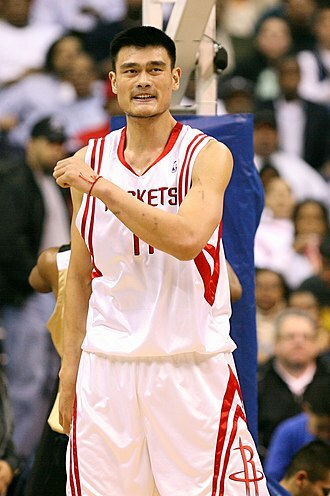 Yao Ming of the Houston Rockets led the ballots with 2,558,578 votes, tracy McGrady, Kobe Bryant, Kevin Garnett, and Duncan completed the Western Conference starting positions. This was the same starting line-up as the previous year, the Western Conference reserves included three first-time selections, Ginobili of the San Antonio Spurs, Amare Stoudemire of the Phoenix Suns, and Rashard Lewis of the Seattle SuperSonics. The 2003 NBA draft was held on June 26,2003, at The Theater at Madison Square Garden in New York City, New York. The NBA announced that 41 college and high school players and a record 31 international players had filed as candidates for the 2003 NBA draft. The Detroit Pistons and the Denver Nuggets were second and third respectively, the 2003 draft is known for having one of the most talented draft pools in draft history. Four of the top five picks are NBA All-Stars and Redeem Team Olympic Gold Medalists, Carmelo Anthony, Chris Bosh, Dwyane Wade, Carmelo Anthony won the 2013 NBA Scoring Title and is the only player in NBA history to win at least three Olympic gold medals. Chris Bosh left Toronto in 2010 as its leader in points, blocks, double doubles, free throws made and attempted. 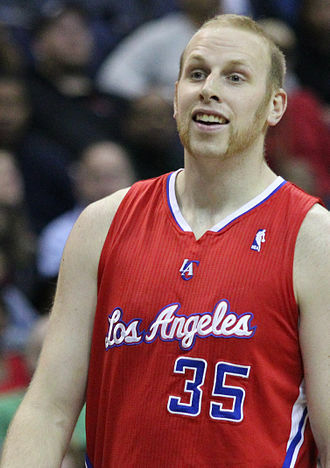 LeBron James, who was drafted by the Cleveland Cavaliers in 2003, left for the Miami Heat in 2010, ^ a, Chris Kaman was born in the United States, but has German citizenship through his great-grandparents and competes internationally for Germany. Quentin Richardson is the only freshman to ever win the C-USA Player of the Year award. 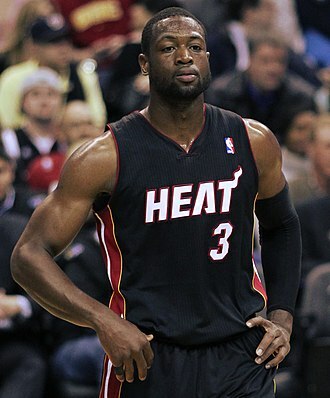 NBA star Dwyane Wade rose to national prominence during his junior season in which he won the award. Like Wade, Chris Douglas-Roberts won the award as a junior (2008).